About a year ago I switched myself off coffee and reluctantly jumped on the tea wagon. Why? Because of traveling and crossing time zones, I’d end up with the worst caffeine withdrawal headaches. But I didn’t know that much about tea and so I stuck with what I knew, that being English Breakfast. 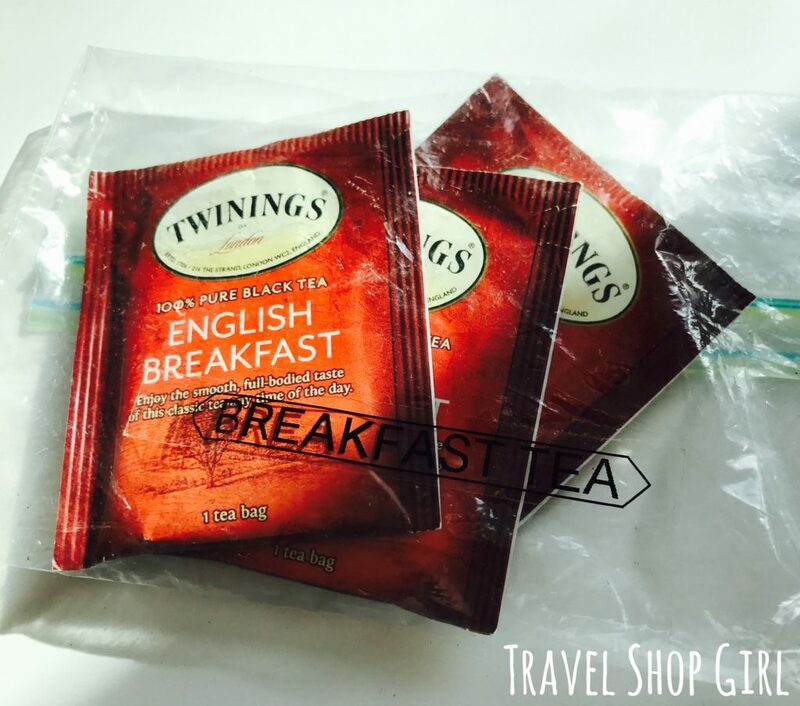 There’s nothing wrong with English Breakfast tea. In fact, it will always be one of my favorites as it makes the perfect morning beverage to replace my morning cup of coffee. As you can see here, I couldn’t wait to dive in and have a cup first thing this morning (and yesterday, too, but didn’t take a pic). It’s a perfect cup each and every time with a completely satisfying taste. 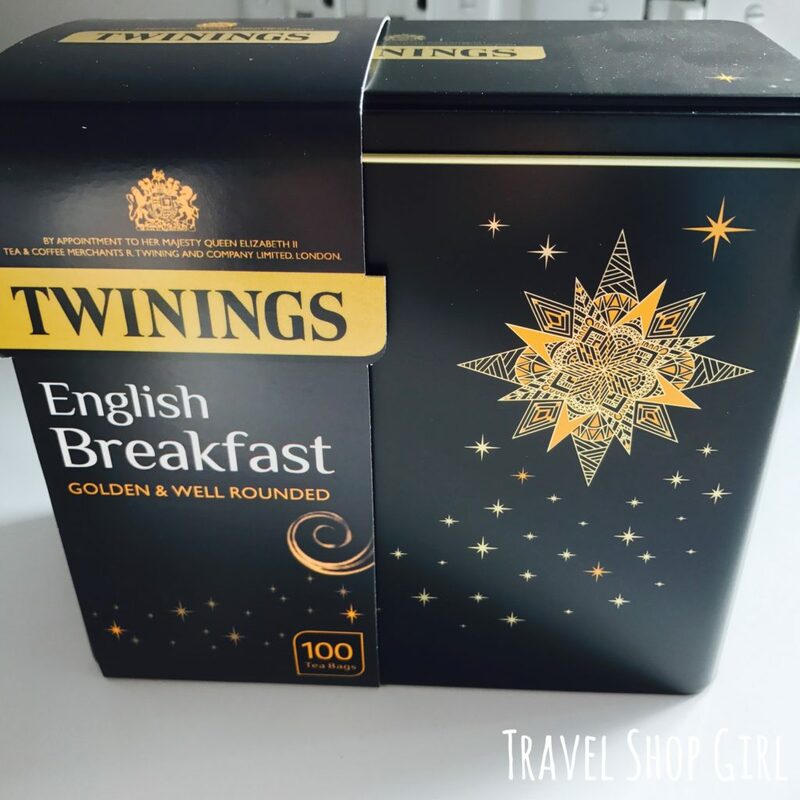 Twinings makes traditional teas like English Breakfast tea and others found in my Twinings Collection Favourite Teas & Infusions like Earl Grey, Pure Steamed Green, and Lemon & Ginger. I recently discovered that I like more than the traditional teas. In addition to Twinings traditional teas, they also make the most interesting loose leaf pyramid teas in amazing flavors like Bollywood Chai Latte, Nutty Chocolate, Superfruity, Simply Sencha, Apple and Elderflower, and the list goes on. I’m going to enjoy going through each one of these and choosing my favorite. Where should I start? If you’re thinking about trying something new, I definitely recommend Twinings since they’ve been in the tea business for over 300 years. All that knowledge and experience leads to, without exaggeration, the perfect cup each and every time you make a cup of Twinings tea. How is all of this tea talk travel related? I have gotten into the habit of carrying my own stash with me when I travel so I can always have a great cup whether in the air, on land, or at sea. What tea did I just take with me on my trip to Las Vegas? Twinings, of course, and that’s no lie. Yes, that make me look like a crazy person pulling out my own tea bags (and stevia, too), but I know I’ll always get quality tea if none is available. What’s your favorite cup of tea? 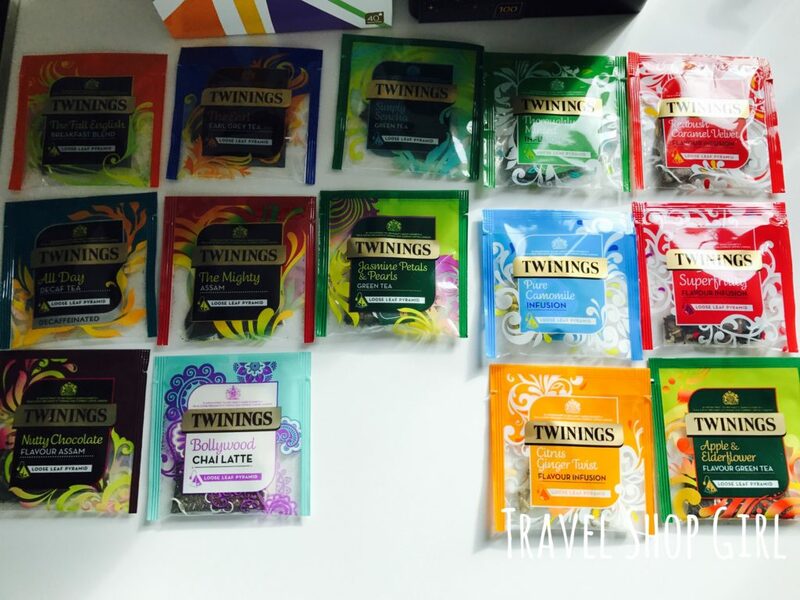 Maybe you can introduce me to a new flavor I’ve never considered while I dive into my new Twinings tea stash. 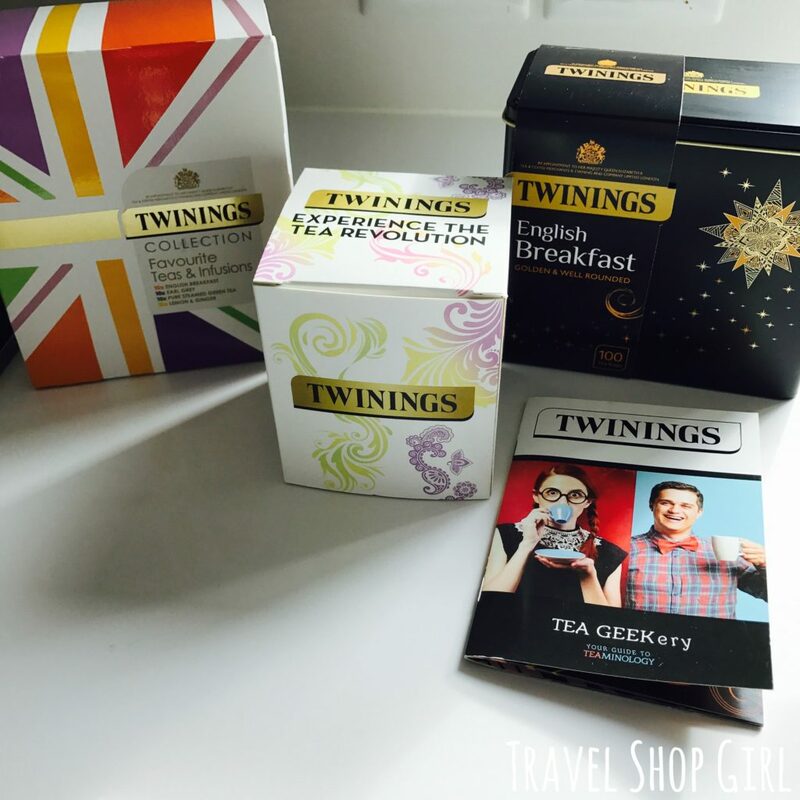 You can find Twinings in most stores like Whole Foods as well as online in the US and in the UK . What are you waiting for? Go get some tea!